Vehicular manslaughter is a serious felony charge that should be met with a serious defense. 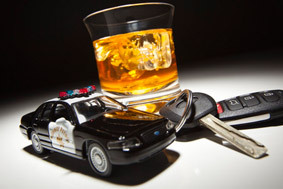 Penalties for vehicular manslaughter, including DWI vehicular manslaughter, can include a multi-year jail sentence. 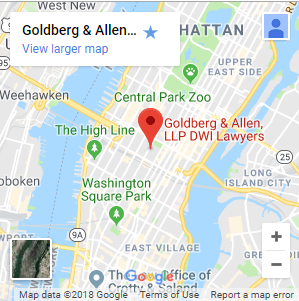 Goldberg & Allen, LLP, is a Midtown Manhattan criminal defense law firm with the demonstrated knowledge and skill to defend clients facing serious vehicular manslaughter charges. Our founding partners are both former Brooklyn prosecutors who rose to the level of First Deputy Bureau Chief in the Kings County District Attorney’s Office before founding our New York criminal defense law firm in 1996. Contact our Manhattan law firm to discuss your defense options in response to vehicular manslaughter charges. Founding partner Gerald Allen has been recognized in the legal community for his mastery of vehicular manslaughter defense strategies. Mr. Allen has trained many of today’s leading prosecutors in the area of vehicular manslaughter charges; his past perspective from the prosecutor’s side of the courtroom has proven invaluable to clients of our defense firm. When you choose to retain Goldberg & Allen to manage your defense in a vehicular manslaughter case, you receive sophisticated and thorough legal service. We will clearly explain the full spectrum of your legal options — from plea bargain through trial — and help you select the path forward that best fits your particular circumstances. Our track record of success in past cases illustrates the benefits of our approach to criminal defense. In vehicular manslaughter cases, we investigate possible vehicular malfunctions and defects, such as sticking gas pedals or faulty brake pads. All too often, the cause of an accident may be a vehicle defect not yet revealed by the manufacturer. Especially in light of recent recalls years after drivers first reported vehicle problems, it is critical to inform the prosecution and jury that the cause of the deadly accident may have been the vehicle — and not the driver. As we evaluate your car accident or alleged vehicular assault, we take special care to complete a full accident reconstruction. We will review the police investigation at the scene of the accident and conduct our own independent review, analyzing crucial traffic patterns, traffic signals, speed and other accident factors. When necessary, we retain accident reconstruction experts as potential witnesses to explain the accident. In addition to conducting thorough investigations and reviewing all police and prosecutors’ actions for possible unconstitutional misconduct, our defense lawyers also review the role that relevant traffic laws may have played in the accident. Without knowing traffic laws, other attorneys may not be able to prepare as strong a defense because there are special unique traffic law nuances that can assist in your defense. When you need to rely on a high-level defense lawyer in the New York City metro area for a vehicular manslaughter or vehicular assault charge, the criminal defense attorneys at Goldberg & Allen, LLP, are equipped to fight for you. Call the firm at 212-766-3366 or contact us online to receive personal and dedicated legal advice, beginning with a free consultation and ending with the resolution of your case.